I feel like, as a blogger, there's almost a different sense of accomplishment in being able to use things up. Anyone else feel this way? Maybe it's because the stuff I use up ends up sitting in a cardboard box under my vanity until the end of the month, giving it more weight than if I just tossed it. 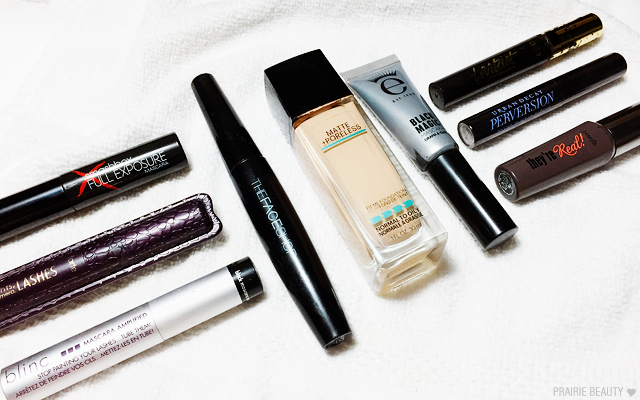 Anyway, this month I didn't actually use up a ton of products, but I did decide to dump out the container that I keep mascaras for way too long in and do a bit of a cull, which makes up the bulk of this empties. That said, there are definitely some rad products in here! 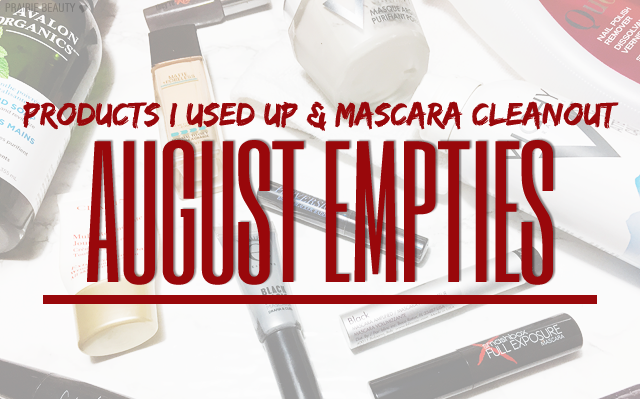 Keep reading to see what I used up in August! This is a staple for me. It's actually what I use to wet my brush if I want to add more pop to an eyeshadow, because the mist is really fine and I like feeling like I'm putting something a little bit good for my skin on with my makeup. I also use this as a cool down product, because it's super refreshing to just give the skin a good mist. Been through several bottles, will undoubtedly go through several more. Honestly, I feel like this was nice, but not particularly transformative. I used it as a daytime moisturizer and I felt like it provided a good level of hydration without feeling heavy on the skin or breaking up my makeup. I don't think I'd buy it again, though, because I have lower cost moisturizers that work similarly and I'd rather spend more on more transformative skin care. THIS IS THE BEST MASK OF LIFE. Honestly, I never go through an entire pot of a mask before it goes bad, but this is such a staple for me when my skin is acting a fool because of hormones or whatever else happens to cause breakouts. I can always count on this to make a significant difference in my skin's behavior without 12 hours of using it. So good. Already have a back up. The thing I really liked about this hand soap was the peppermint scent. I don't know what it is, but I just really, really felt like my hands were clean when I used this, and I think the cool freshness of the peppermint was a part of that. 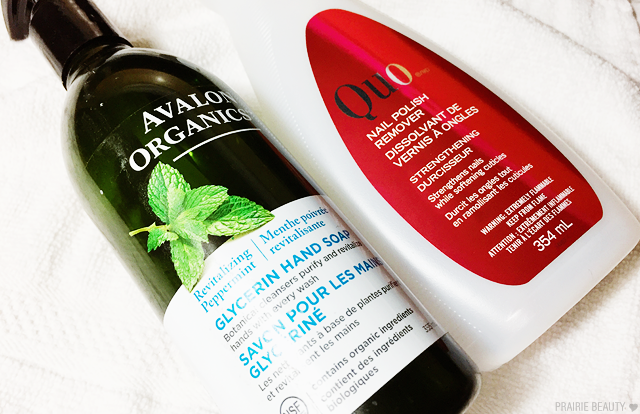 I've got other favorite hand soaps - regular readers know what they are - so I'm not sure I'll run out to get this again, but I definitely would buy it again in the future. I honestly don't even know how to rate nail polish remover. This one got the job done, didn't seem to damage or stress out my nails, and I would buy it again. I'm using a different one right now, but this one is one that I'd buy in the future. I'm already into another bottle of this and it's been what I've most consistently been reaching for this summer. 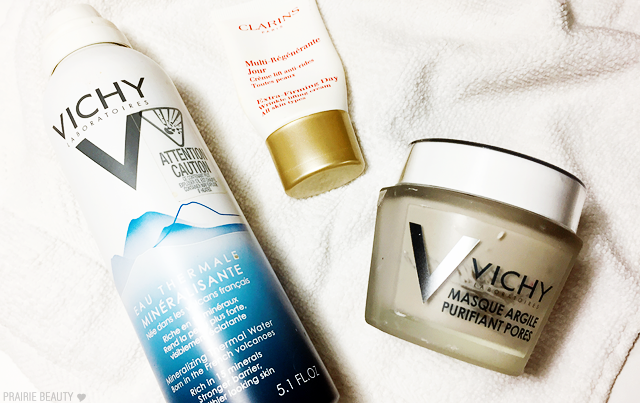 As my skin gets more combination, this seriously just gets it done and gives me a non-drying, natural-looking finish on the skin that lasts really, really well. I think this might be a forever repurchase. 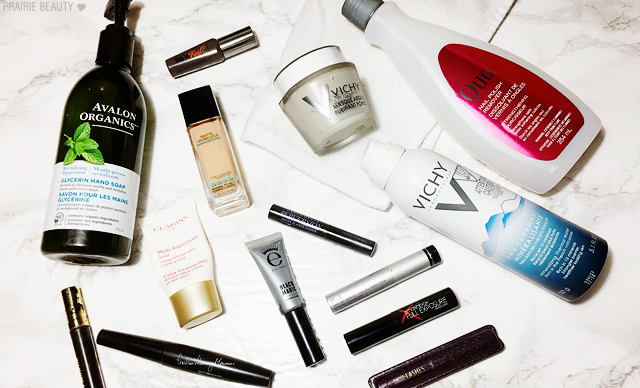 When it comes to the mascaras, I'm going to try to keep it brief - and some of them I might not even remember my thoughts on. Not bad. Brush is too big for my eyes. Would not repurchase. Not my favorite. tarte has better options. Would not repurchase. So so so good for long, natural makeup days. Doesn't build super much, but gives nice definition and lasts like crazy. Would repurchase. Literally can't remember what I thought of this. Probably wouldn't repurchase, but would try again. Decent volume & length. Holds curl really well. Super black. Overall, not bad but not my favorite. Have another from last month's Ipsy, but wouldn't likely repurchase. Love love love love love love love. Can't say enough good things about this. Will absolutely repurchase. Super black, gives good lash, smudged on me like crazy. Wouldn't repurchase. Overrated, in my opinion. It's fine, but nothing to write home about. Have about 5 samples. Wouldn't repurchase. So there you go! I'm curious as to whether anyone else does the hoarding of mascaras thing that I do, leaving them in a container but not actually using them for months before throwing them out. Just me? Thanks for reading and check back next week for my August Favorites!